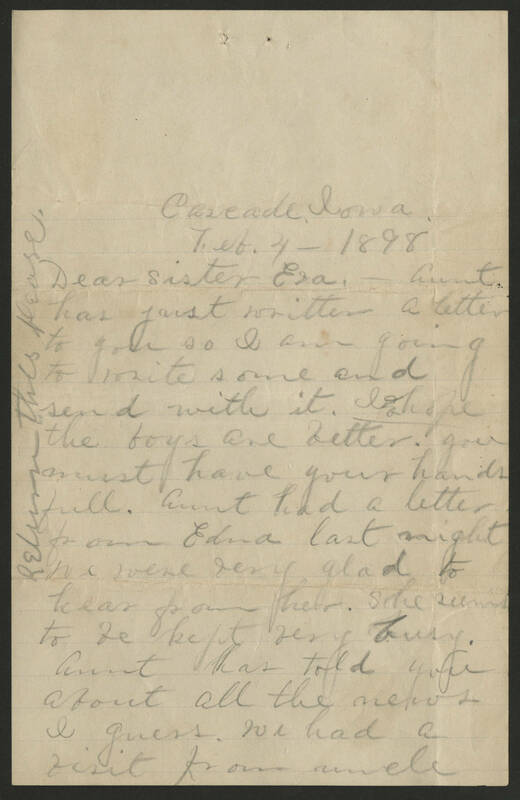 Cascade Iowa Feb 4 - 1898 Dear sister Eva. Aunt has just written a letter to you so I am going to write some and send with it. I hope the boys are better. You must have your hands full. Aunt had a letter from Edna last night. We were very glad to head from her. She seems to be kept very busy. Aunt has told you about all the news I guess. We had a visit from uncle [the following is written vetrically on the left side of the page] return this please.